Returns: 24 hour snorkel gear return available at this location. Driving Directions: Two roads going south toward Poipu will lead you to our shop – Koloa Road (Highway 530) and Maluhia Road (Highway 520). From the 530, turn right on Poipu Road. From the 520, turn right on Koloa Road, then left on Poipu Road. 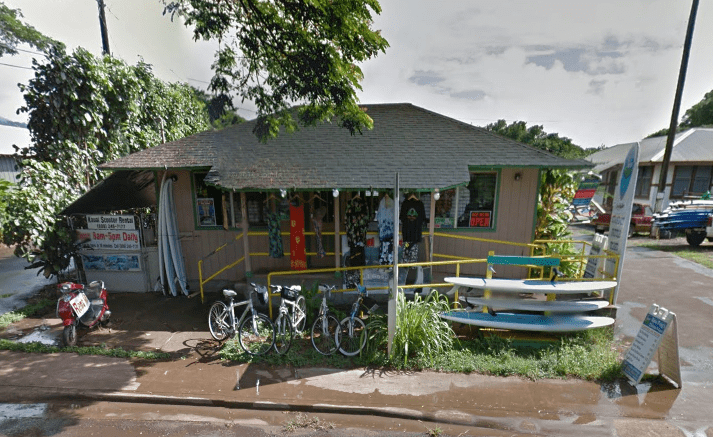 Our Koloa shop is right there. There are two Boss Frog’s locations in this area. Our Koloa shop is on the way to Poipu when you are heading south. We have everything you need to go snorkeling, surfing, or just exploring the beach. Come in to grab your Koloa snorkel rentals, and ask us questions about Kauai and all of the islands. We know about all the different island activities, too, and we offer discounted rates.